When it comes to marketing Thomas Edison got it right. There is a myth that marketing is a rigidly planned and deliberate set of strategies. While this may be the case for some industries, I would argue that it does not apply to technology, especially completely new technology that disrupts the marketplace. The truth is that even the marketing experts struggle to find the right mix. The dirty little secret of marketing new technology is that there is an enormous element of randomness. You try a bunch of ideas, track your results and hope that something works. Then you do lots of what works and continue to try new experiments. Since the technology is completely new, what worked for other companies may not work for you. Users don’t know they want what you offer because it has not previously existed. For instance, who thought they wanted a Tablet computer or dozens and dozens of other products and services before they existed? The truth is that to reach your market you will have to try a lot of strategies and continually experiment to see what works. You will have to remain open minded and seize opportunities as they come along. Measure what you can but also accept that some strategies will be hard to quantify and may have intangible benefits. In the spirit of seizing opportunity, I tried a new strategy this week. One of the sources I use to curate content for my twitter feed is Alltop . 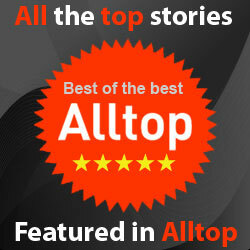 Alltop is a site that curates the latest stories and headlines in different topic categories. It lists the best sites and blogs that cover a given topic. I tweet a lot about startups and Alltop has a good Startups category. I noticed that Alltop encouraged its readers to suggest sites to be included. Since we blog a lot about Startups at MediaVidi I figured why not submit it? Alltop has a fairly strict submission policy and all suggestions are vetted. I expected to be turned down but I figured, “nothing ventured, nothing gained”. I filled in the submission form with a “bombs away” mentality and clicked on submit. You will get good at marketing by trying lots of different things. Marketing Genius is 1% Inspiration and 99% Perspiration.